Two new development kits that require Arduino programming skills could make it easier for the do-it-yourself set to build electronics and wearable devices. 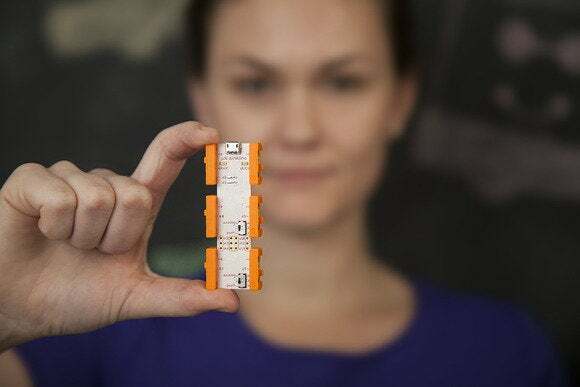 The LittleBits Arduino at Heart starter kit and Atmel’s Zero board are being shown at the Maker Faire Bay Area event Thursday in San Mateo, California. The $36 Arduino at Heart kit works by snapping components on to a board instead of soldering them and is also designed to make programming easier, while the Zero board has a more powerful microcontroller than the LittleBits kit, allowing users to create and prototype wearables, robots and other devices. Both kits were developed in conjunction with Arduino, which provides programming tools and hardware specifications for building electronics. Programming in Arduino can be simple, but complexity increases with device functionality. The Arduino at Heart kit does away with the need to plug in wires and electronics can be built with minimal programming. 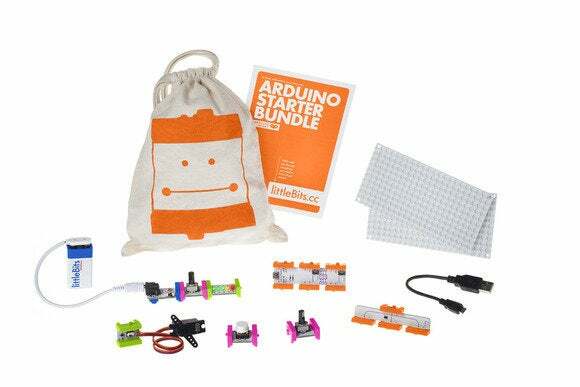 The kit allows “newbies and experts alike to get started right out of the box,” LittleBits said in a blog entry. As a basic example, modules for sound and light can be plugged or swapped out in Arduino at Heart for interactive digital art. The board can also be used for input when playing Pong or to show numbers on a simple LED display. An $89 kit includes the board, power module, battery and eight additional parts. Beyond basic electronics, Arduino at Heart can also be used to prototype robots, said Paul Rothman, director of research and development at LittleBits. The servo motor can help build a moving robot and LittleBits is making a robot with an animatronic hand that can play the rock, paper, scissors game. Another goal of the kit is to teach hardware basics, including the operation of ports, polarity of LEDs, input-output and other concepts, which are important when writing software to control electronics, Rothman said. The Arduino at Heart board is based on an ATMega328 microcontroller. Compared to Arduino at Heart, Atmel’s Arduino Zero is a more conventional developer board. It can be used to build robots with more functions and other electronics, and has an ARM-based Cortex-M0+ processing core, 256KB of flash memory and 32KB of SRAM. An embedded debugger brings software compilation flexibility, reducing the need to attach additional hardware or expansion boards. For example, the Raspberry Pi needs an expansion board for Arduino interfacing and functionality. 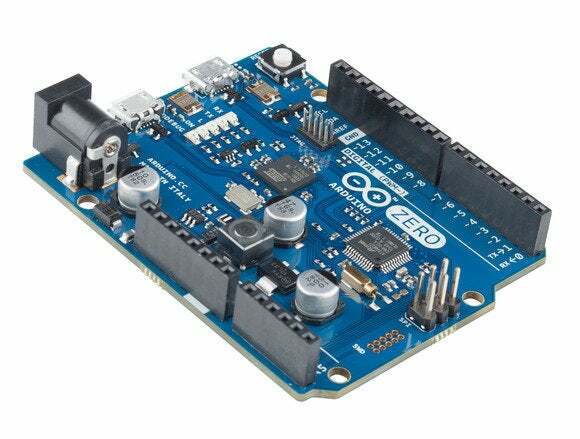 The Arduino Zero “aims to provide creative individuals with the potential to realize truly innovative ideas for smart IoT [Internet of Things] devices, wearable technology, high-tech automation, crazy robotics, and projects not yet imagined,” according to a product page. Pricing and availability for the Arduino Zero were not provided by the company.